Al Ahli Bank of Kuwait (ABK) recently celebrated National & Liberation day with children at the Al Kharafi Kids Center. The celebration, which took place on Wednesday, 19 February 2017, featured singing, Kuwaiti decorations and flags, face painting, coloring and competitions with prizes for all the children present. The day was attended by 300 children, relatives, staff from the center and employees from ABK and was designed to help children engage with the public and strengthen their understanding and sense of nationalism and joy on this special occasion. The Al Kharafi Activity Kids Center is an important facility which gives children with disabilities new opportunities to learn and play within a secure and nurturing environment. The aim of the center is to assist children with their confidence and encourage them to develop their physical, social, verbal and emotional abilities so that they are better equipped to engage with the local community. 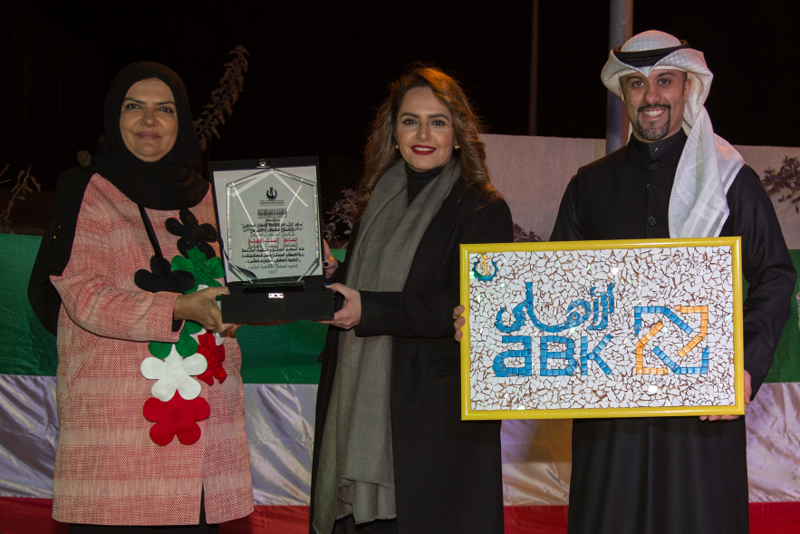 ABK is a committed member of Kuwait’s community, actively engaged in supporting a wide variety of events, especially those that focus on special needs. For more information on Al Ahli Bank of Kuwait please contact ‘Ahlan Ahli’ at 1899899.